We are pleased to market for sale this substantial two bedroom detached property with two good sized reception rooms, double driveway and garage, landscaped gardens to front and rear, set in a desirable location in Offerton. 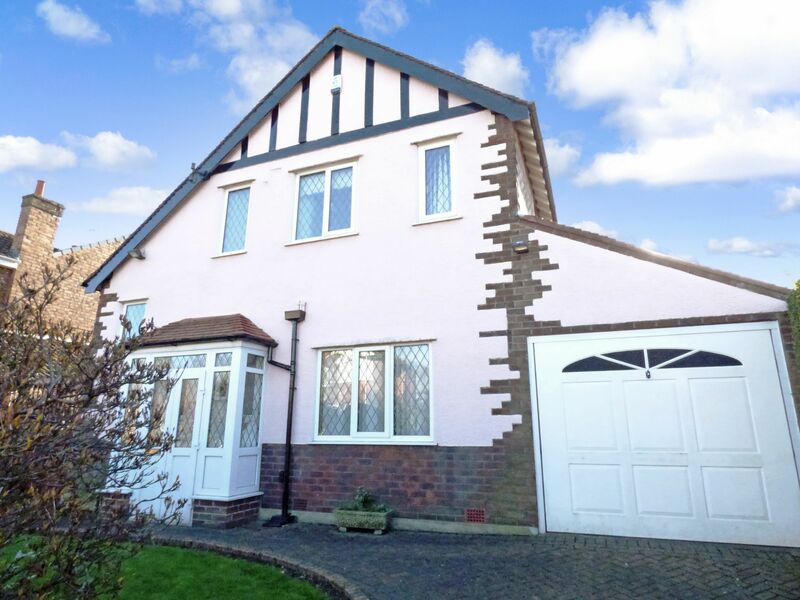 This property requires some cosmetic updating but still offers a welcoming and spacious entrance hallway with 20ft lounge, separate dining room and L-shaped fitted kitchen. 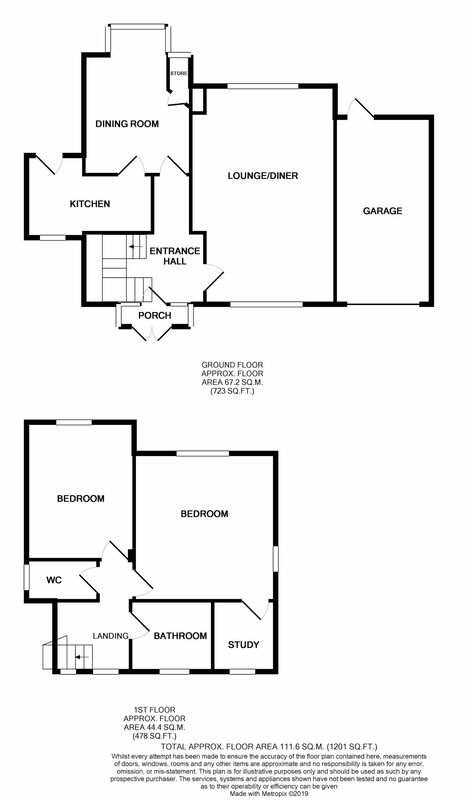 There is a landing to the first floor where there are two double sized bedrooms, both with fitted wardrobes, a dressing room/study off bedroom 1, bathroom with bath and shower cubicle, separate W.C. Externally the property has landscaped gardens to front and rear. There is also a double driveway and access to the rear from the front. Advantages include gas central heating, uPVC double glazed windows throughout and the opportunity to acquire a fantastic property. Viewings are highly recommended to fully appreciate what this property has to offer. with uPVC leaded double doors leading to timber front door. with beamed ceiling, telephone point, radiator with thermostat control, power points, stairs to first floor. with uPVC leaded double glazed windows to front and rear aspects, gas fire with tiled surround and hearth, four wall light points, coving to ceiling, T.V. aerial point, power points, two radiators with thermostat controls. uPVC leaded double glazed window to rear aspect, range of fitted cupboards and shelving. with uPVC double glazed window to front aspect and uPVC double glazed door leading to garden. Range of fitted wall and base units with worksurfaces incorporating stainless steel sink and drainer with mixer tap. Built-in eye level Hotpoint gas oven and grill, four ring gas hob. Integrated undercounter fridge, integrated dishwasher & washing machine. Fully tiled walls, Xpelair. with uPVC double glazed leaded window to front aspect, radiator with thermostat control. with uPVC double glazed leaded window to rear and to side aspect, range of fitted wardrobes, cupboards and drawers to one wall, two wall light points, coving to ceiling, telephone point, power points, radiator with thermostat control, access to dressing area/study. with uPVC leaded double glazed window to front aspect, radiator with thermostat control, power points. with uPVC leaded double glazed window to rear aspect, range of fitted wardrobes and drawers to one wall, radiator with thermostat control, T.V. aerial point, telephone point, power points, storage cupboard. 7'03" (2m 20cm) x 6'03"
with uPVC leaded double glazed window to front aspect, white suite comprising of: panelled bath, pedestal hand wash basin, shower cubicle with Mira shower and glazed screen. Half tiled walls, radiator with thermostat control. with uPVC leaded double glazed window to side aspect. Attached single garage with up and over door, power and lighting, uPVC door to rear garden. The rear garden is landscaped with flagged pathway and patio area, to the rear of the garden there is a lawned area with a timber shed. The garden is enclosed by fencing and has a variety of landscaped borders. The front is also landscaped and boasts a double driveway with parking for two cars. Viewings are strictly by appointment with Ian Tonge Property Services, 176-178 London Road, Hazel Grove. Telephone 0161 483 5873. Magda Road can be found off Dialstone Lane, Offerton. Ian Tonge Property Services give notice that these particulars, whilst believed to be accurate, are set out as a general outline only for guidance and do not constitute any part of an offer or contract - intending purchasers or tenants should not rely on them as statements or representations of fact, but must satisfy themselves by inspection or otherwise as to their accuracy. No person in the employment of Ian Tonge Property Services has the authority to make of give representations or warranty in relation to the property.